It may be blowing up a gale outside, but we know that many event organisers and wedding planners are already focusing on plans for the more balmy summer months. Summer is peak season for weddings in the UK, and for many sporting events too – and we are already busy preparing for some great outdoor events in 2015. We’ve been doing our research and are excited to find out that one of the key trends for outdoor furniture this year is going to be rattan. Coupled with the emerging fashion to create your own pop up party, we are excited about sharing our creative flair with our clients this summer. Rattan products are amazingly versatile and can be dressed up for a smart evening occasion or used to give a comfortable casual look for a day time event. 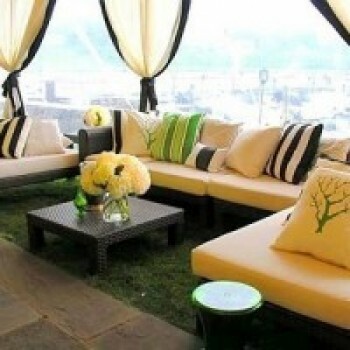 At Rio Lounge we love it and have a great range of rattan products to help make your summer party sublime. You can use it in so many different ways so here are just a few ideas for how you can use it to style your event this summer. Many people choose to make the most of the sunshine by holding their wedding in a marquee. This is a great way to celebrate but it can be hard to dress the marquee so that it looks stylish and doesn’t look too plain or empty. That’s where our rattan Marrakesh Club Sets come in. Available in ice cool white you can create your very own chill out lounge where guests can relax and chat. It’s perfect for having a rest before getting back on the dancefloor again! You can accessorise with our luxurious gold cushions and mirrored tables for a funky urban look. Why not consider adding a gold St Germain chair for a touch of bling this summer too. 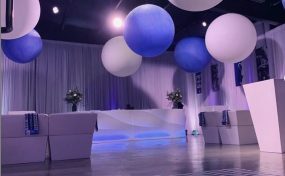 Read more about why you should hire a white sofa for your special event. 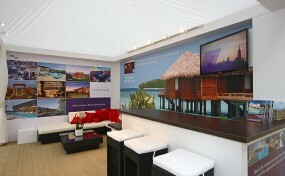 Rattan provides the definitive look for a VIP lounge at summer sporting celebrations, and we have used it to great effect at events such as The Boodles. Our rattan Marrakesh Club Sets provide a relaxed setting for VIP guests and sports starts alike to sit back and enjoy the sunshine. Black rattan gives a classic feel to an outdoor lounge, and can be teamed with any of our range of coloured cushions and ottomans to tie in with a brand or sports team colour. Just add some of our giant silver champagne buckets to keep the bubbly cool so that the winning team can celebrate in style! Vintage chic is a key trend for summer 2014 both for weddings and parties. Brown rattan gives a warm and homely feel to an event and blends in perfectly with any outdoor surroundings. Using one of our brown Marrakesh club sets as a base you can cover it with different textured throws and floral cushions to make comfortable seating for your guests. It’s the finishing touches that will make your vintage styling successful so use pretty mis-matched crockery, fairy lights and polka dot table covers to take revellers back to a simpler time. Add a final touch of magic by lighting the path to your party with groups of our silver lanterns containing flickering candles. Who could fail to be enchanted by such a look? 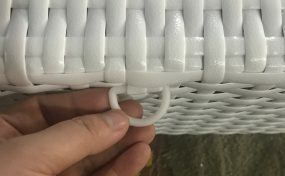 We hope you like our rattan styling ideas. Why not take a look at our outdoor rattan furniture and our garden party furniture pages to get more information about the products we provide – and don’t forget to check out our Pinterest pages for more great party ideas.